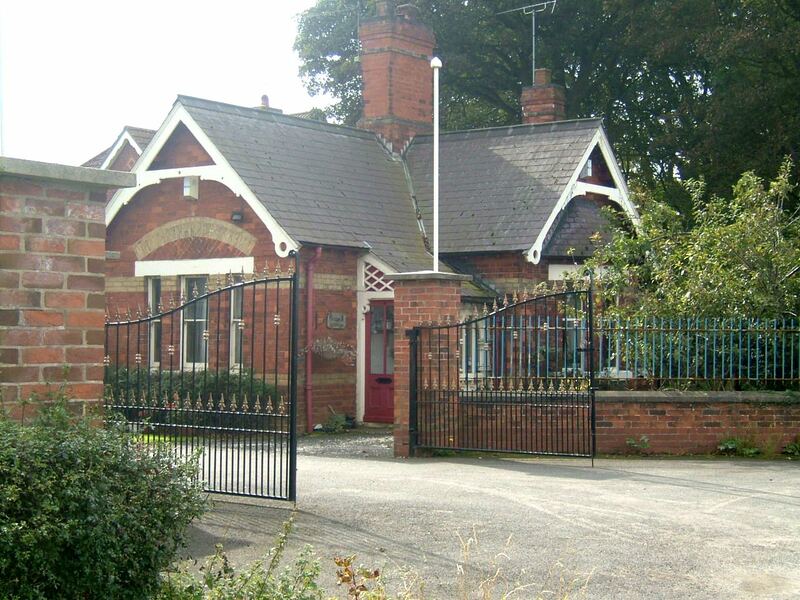 The East Riding of Yorkshire formed a committee to locate a suitable site for a new asylum during the 1860’s and a site near Walkington was chosen. 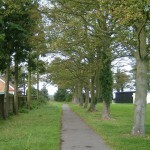 The area purchased formed part of Broadgate farm and was located a convenient distance from the Beverley, the county town. Prior to this time the pauper lunatics of the East Riding had been accommodated at what had been the Joint Asylum at Clifton, York. 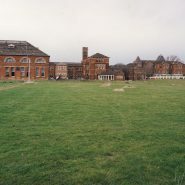 The Clifton Asylum had opened in 1847, soon after the Lunacy Act which had made it mandatory County and Borough authorities to provide dedicated institutions for such persons. 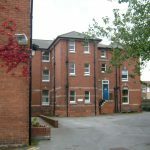 Prior to this time accommodation for lunatics had been via a inconsistent network of Private asylums, with others being sent to the York asylum or The Retreat, which was run by the Quakers. Clifton asylum soon became overrun with inmates, requiring a re-evaluation of the accommodation provided to the authorities authorities with the City of York removing it’s lunatics to the York Asylum from 1861. 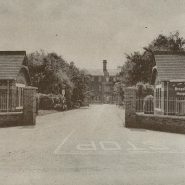 The North and East Ridings continued to maintain a joint arrangement at Clifton but within a few years, pressure for space once again demanded departure of inmates to alternative facilities. The East Riding justices determined to provide their own institution, and one which was not centred on York as its hub. Initially representations were made to the Kingston upon Hull Borough authorities with a view to providing an combined asylum which would also take inmates from that area, the most populous place within the Riding, but whose jurisdiction was largely separate. 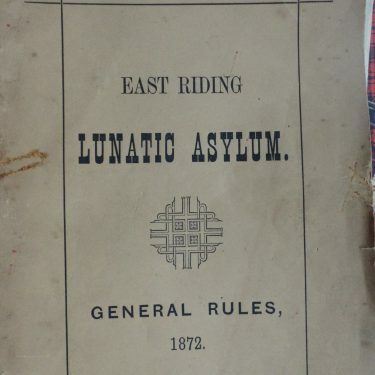 Kingston upon Hull had for many years operated it’s own accommodation for it’s lunatics at what had previously been a private asylum, the Hull and East Riding Refuge, which had long been criticised for being unfit for purpose. Hull had resisted such advances by the East Riding and would wait another twelve years after Broadgate opened until its new asylum at Willerby finally took it’s first inmates. 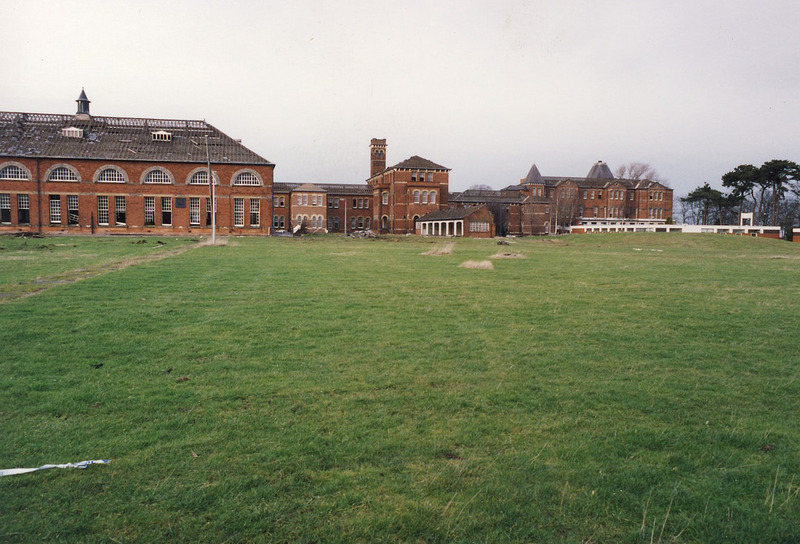 The new East Riding asylum opened in 1871, having been designed by Charles Henry Howell. Howell had been a prominent architect at the time having already been involved with the Surrey County Asylum, Brookwood and the Berkshire County Asylum near Moulsford which opened in 1867 and 1870 respectively. Each of the three of Howell’s design’s followed a similar layout using the corridor plan with wings stepped back to either side. The north elevation at Broadgate comprised various service areas including laundry, stores, and maintenance yards segregated carefully from the main entrance and administration block. The administrative block at Broadgate and Moulsford shared many common features and were of similar scale and layout, such as being spread over three storeys, the positioning of a goods archway to the steward’s stores behind, and the use of a projecting block to one side to accommodate the residence of the superintendent. The location of the chapel at Broadgate however differed, being located at the eastern end of the structure and unlike Moulsford asylum’s Tudor style, Broadgate was executed more closely to the ‘Rudbogenstil’ comprising round headed window arches and polychromatic brickwork and popular at the time. 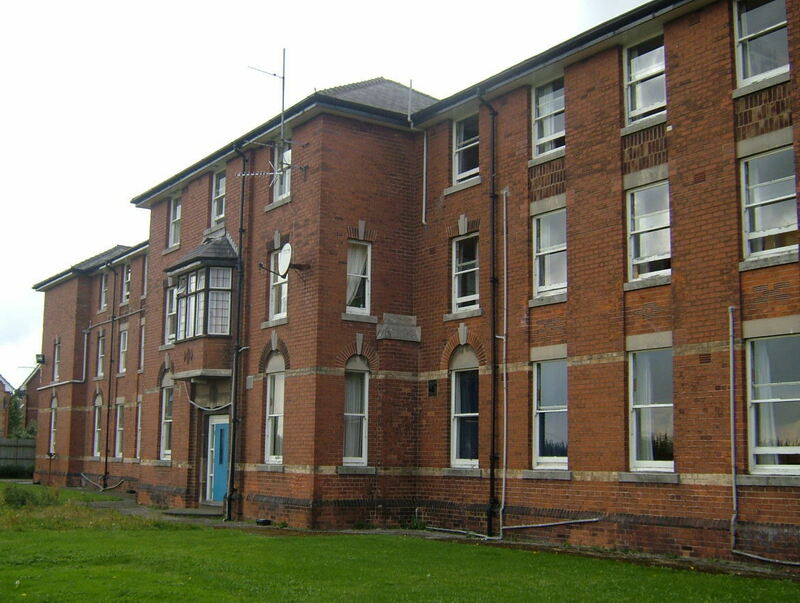 The accommodation wings to the rear were constructed in a similar fashion to the administration block, albeit plainer and over only two storeys with a central officer’s block. To the south west was located the gasworks which was constructed to provide for the complex, wheras the southeast of the grounds accommodated an isolation ward for infectious diseases. Surrounding farmland was used to provide food for the asylum as well as occupation for male inmates. 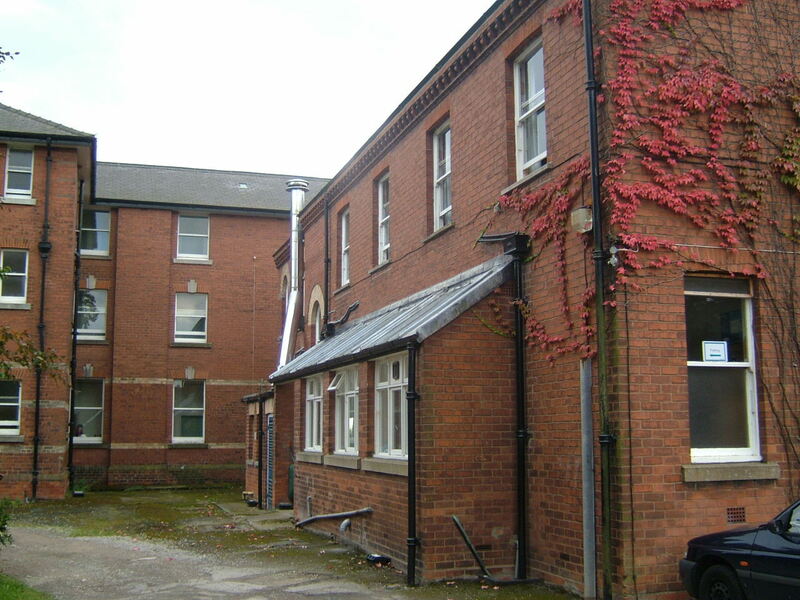 Extensions took place from 1880’s with the addition of three storey ward blocks to either side of the original and a new recreation hall was added to the centre of the south elevation. 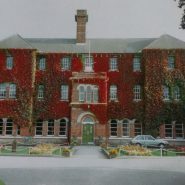 A new home for the superintendent, West End House, was provided to the west of the main building creating more space in the main complex. 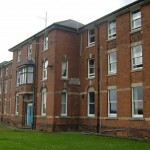 During World War I, the asylum saw inmates transferred in from other psychiatric institutions turned over to the military, most notably the South Yorkshire Asylum in Sheffield which became the Wharncliffe War Hospital and the Newcastle upon Tyne City Asylum which was used as the Gosforth War Hospital. Such an influx of inmates in combination with the calling up of male attendants for the forces meant overcrowding and skeletal staffing for the duration of the Great War and for some time after. 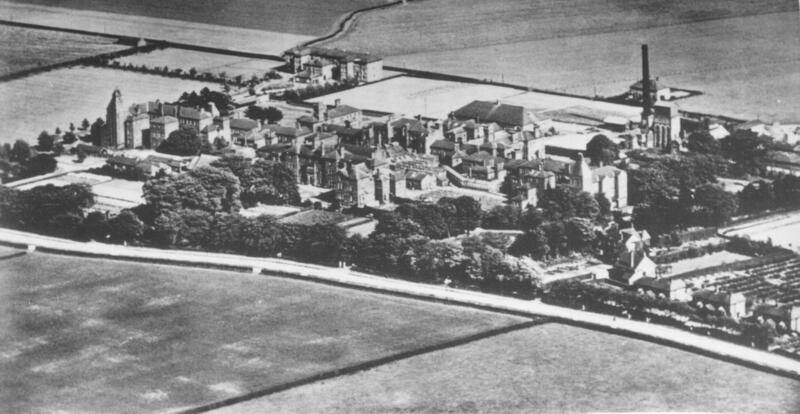 During the 1920’ the campus was renamed the East Riding Mental Hospital in common with all county and borough’s during the period in a bid to break the association with the grim Victorian reputation of such institutions. 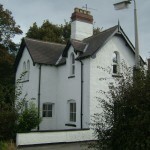 New housing, Maple Cottages were subsequently built onto the main road in order to attract married male attendant’s to work at Broadgate with the potential of tied accomodation. 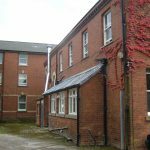 For female staff, the former isolation hospital, always little used for its intended purpose, was expanded with the addition of two upper storeys to be turned over to use as a nurse’s home. 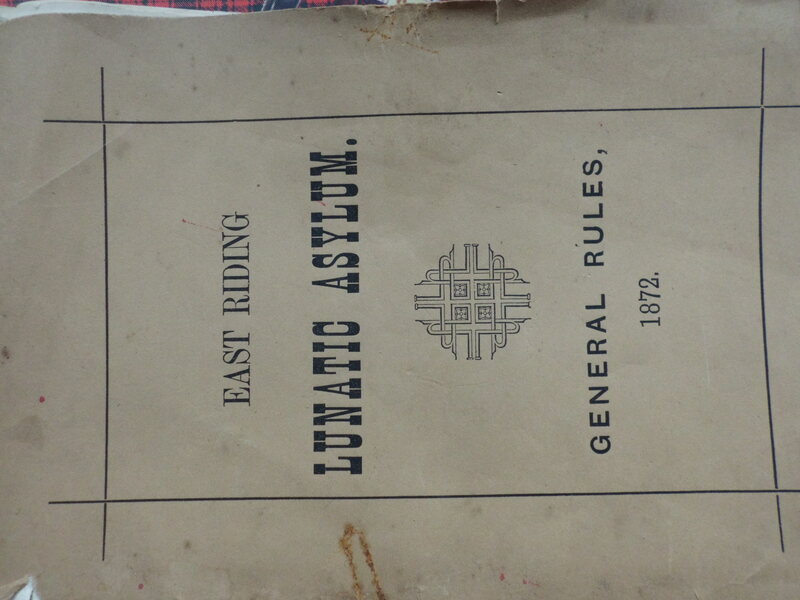 Pressure for space in the main building was relieved somewhat with the opening of the East Riding and City of York’s new colony for the mentally defective at Brandesburton Hall. 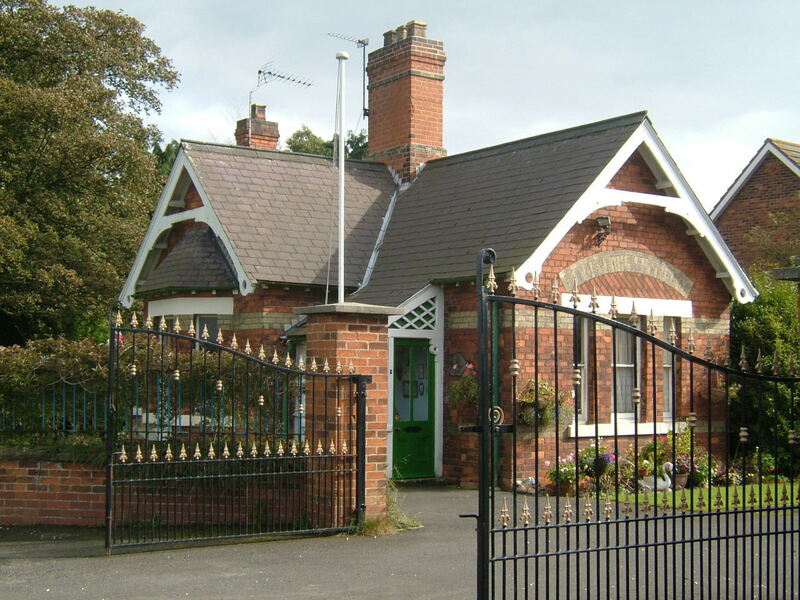 This was gradually expanded with the construction of further villas for patients of various grades of disability, although such development was terminated with the Second World War when the patients were transferred out for the institution to be used by the Royal Air Force. Following the war, the advent of the National Health Service brought all the County and Borough Asylums as well as many others into common state ownership alongside other types of healthcare facilities. 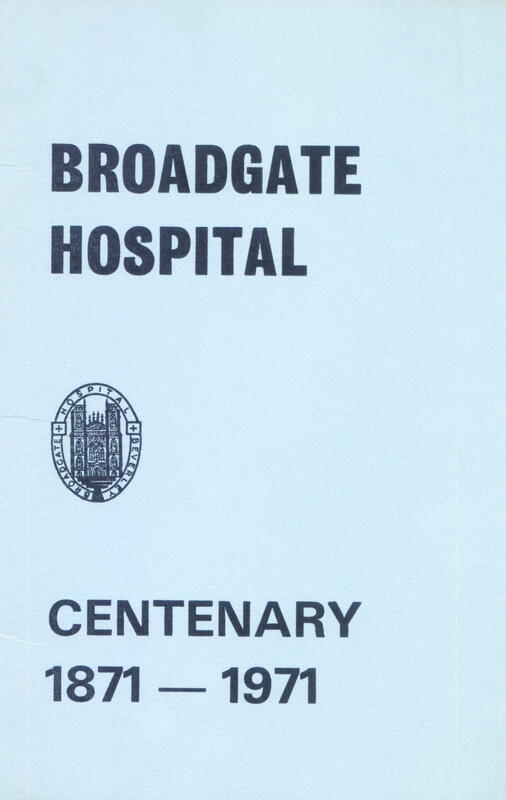 Broadgate and Brandesburton were brought under the control of the East Riding Hospitals management committee. 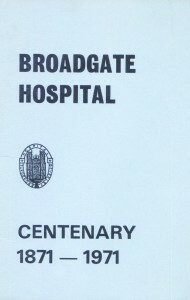 The hospital, no longer being owned by a County Council was renamed Broadgate Hospital. 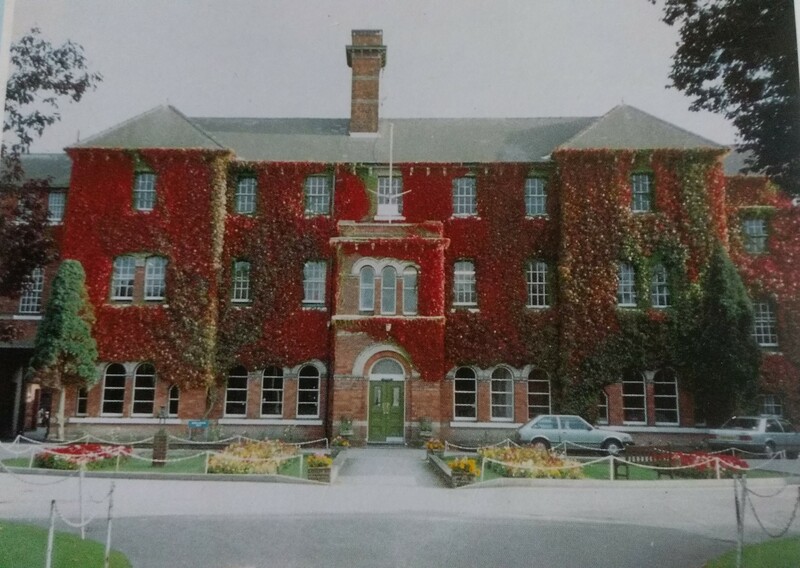 During the 1960’s funding was made available to improve accommodation within the hospital with renovation of the wards and additional buildings for industrial and occupational therapy being constructed. 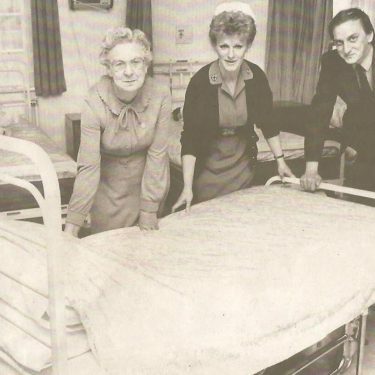 It was during this time that the hospital celebrated its centenary. 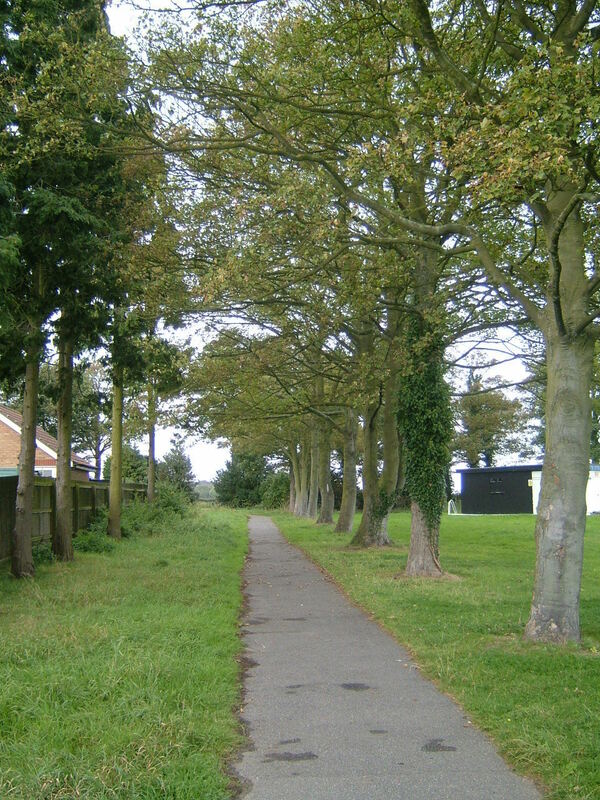 At this time the hospital catchment areas between Broadgate and De la Pole in Willerby was revised with greater parts of the rural East Riding shared between both hospitals. Despite the Minister for Health, Enoch Powell’s ‘water tower’ speech having taken place as early as 1961, heralding the intended demise of most large psychiatric hospitals such proposals seemed unlikely until the early 1980’s when renewed attempts were made under the Thatcher government to implement the controversial ‘Care in the Community’ bill. 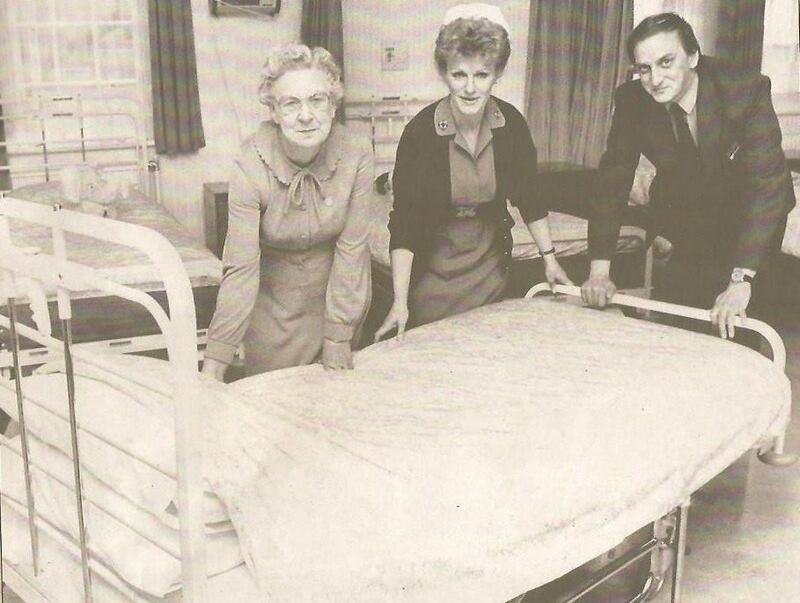 A reduction in bed numbers since their peak in the mid 1950’s brought about a number of early closures during the mid to late 1980’s of which Broadgate was one. 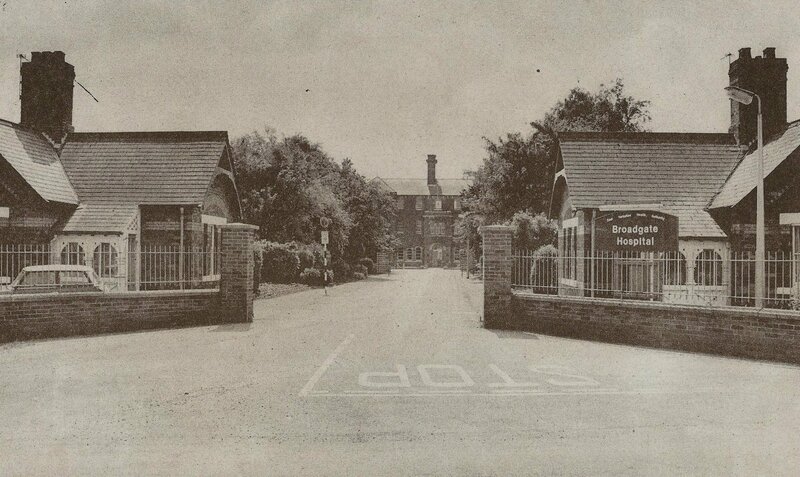 Of the two major mental hospitals in the area, Broadgate was the larger, older and more isolated. 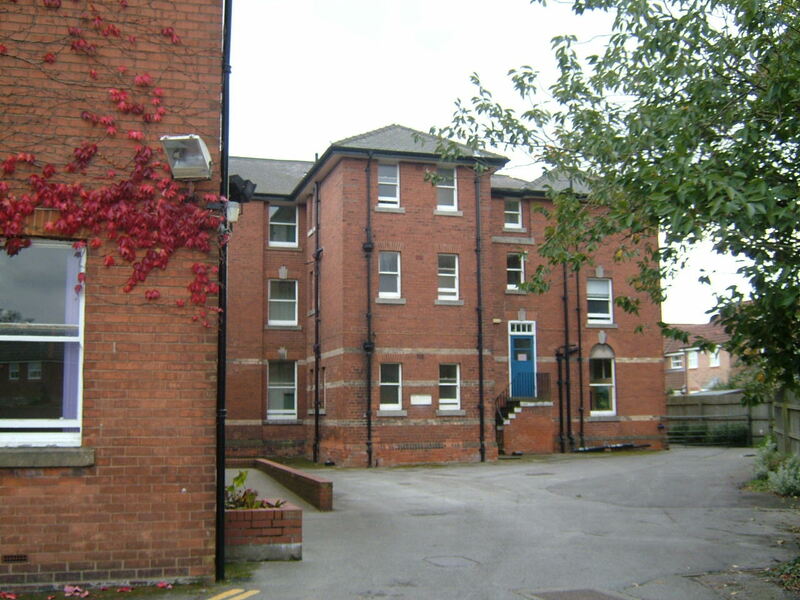 Bedspace at De la Pole Hospital was made available for the transfer of many of the remaining units where psychiatric services were to be concentrated. 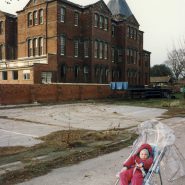 Following closure the site remained empty for a couple of years but was subsequently demolished for redevelopment of the site for housing. 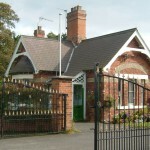 Of the surviving buildings, three lodge cottages and the staff housing on the main road remain. 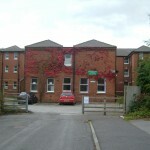 The former nurse’s home, known as The Ridings, stood until recently when it was also replaced by new housing. Good Morning, this may seem quite a strange email. 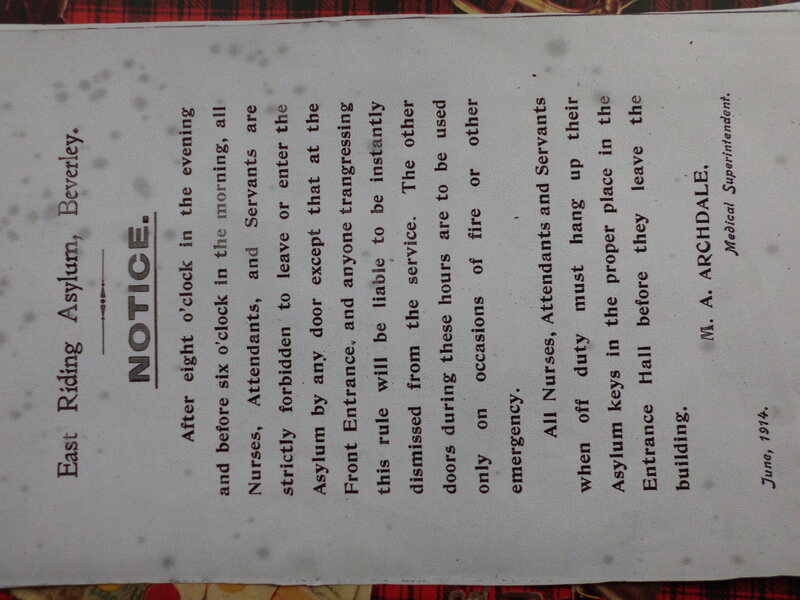 I understand Broadgate Asylum was demolished in 1989. Once demolished a Beverley housing estate was put in its place. 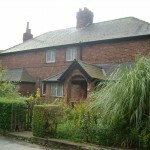 My childhood home was actually 47 Megson Way, Beverley. As a child I had many terrifying haunting experiences in the home, this resulted in my parents moving very quickly. The experiences I went through in this house still haunt me today and I think about what happened everyday. 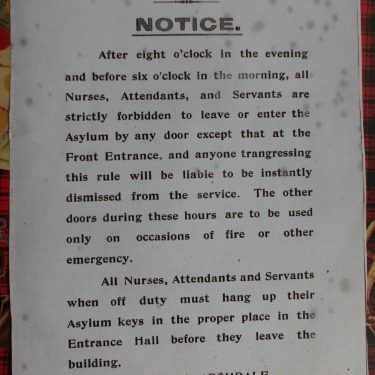 Recently I have decided to do some research into the land and Asylum to try to give myself a little closure. I am please just wondering if you had any floor plans as to what exactly my house was built on top of? I believe it was possibly the mortuary. If you could give me any insight to this that would be great. I actually live in Australia now but plan on visiting the home on my next trip back to the UK. Hi Katie, it’s quite difficult to accertain without aerial maps to overlay. I’ve tried google earth historical imagery and that only goes back to 2003 unfortuantely (other areas it will go back to 1900s) – Old Maps online has some useful maps. Perhaps this one the most obvious http://maps.nls.uk/view/100946783 which shows the rough layout of the asyulum. It’s still difficult to accertain where the mortuary building would be located. Typically they are out of site nearing the engineer/boiling houses sometimes. There are some buildings on the map that suggest it might be near your house. It’s quite possible there is a large pauper graveyard – I’d suggest this is likely to be where the football pitch is currently. 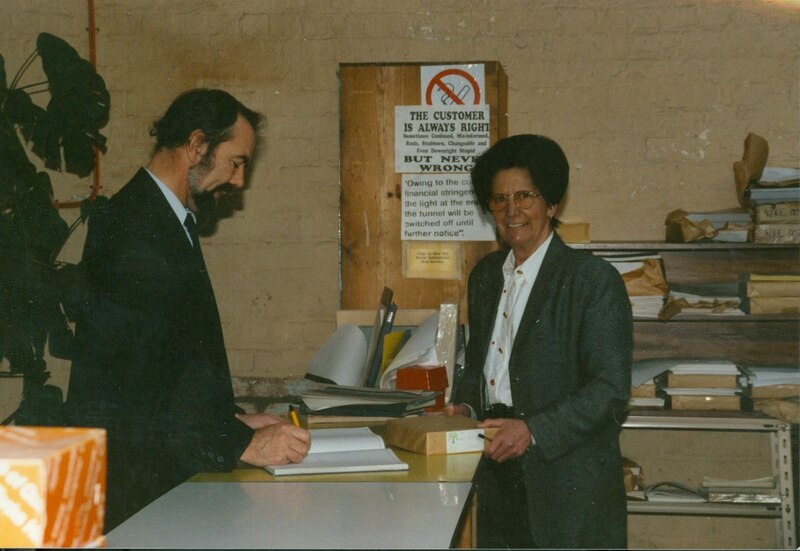 Hi Katie, I was a patient in Broadgate Hospital in the early 80’s. I can’t say though that I had any actual haunting experiences in the place whilst I stayed there in a dormitory, but considering what the atmosphere was like in some ways, your story doesn’t surprise me. I suppose there may be different explanations for your experience, it may just have been an unhappy spirit that can’t move on. The good thing is you can. I hope you find closure soon. 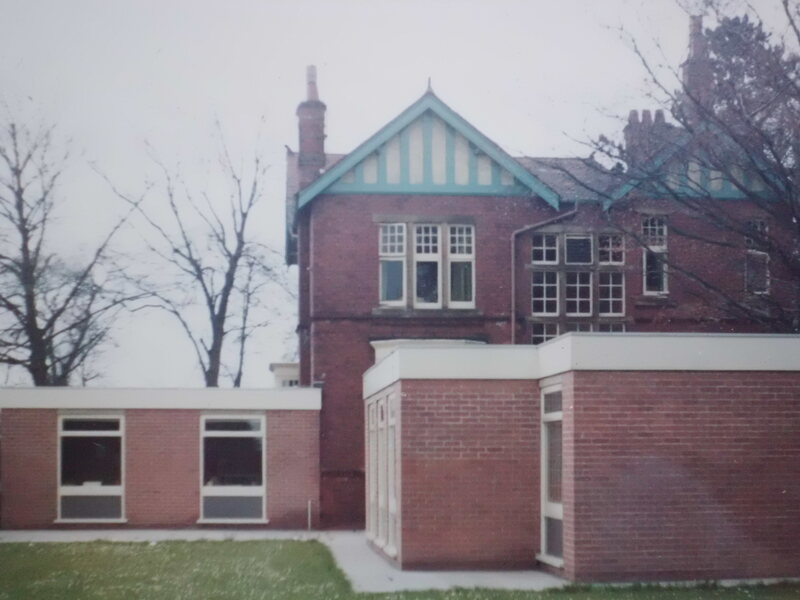 In addition to the information above from Tom, I can advise you that the location of 47 Megson Way was just behind a three storey extension of the female wing which had been added around 1896. 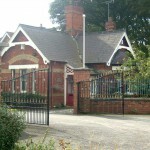 The site of the house had been occupied by an access road and later (after 1910) a single storey structure alongside. The images that survive of this particular structure appear to indicate it being a workshop block rather than a mortuary. 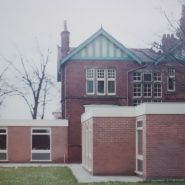 A photograph on Flickr taken at the time of demolition shows the same single storey building on the site of 47 Megson Way (https://c1.staticflickr.com/3/2340/2317852329_b1eaab2122_b.jpg). Mortuaries tended to have a lantern roof or roof lights to assist the pathologist in their examinations. I agree with Tom that the mortuary would likely have been sited in a works area, almost certainly in a male area. It seems most likely in the absence of more detailed plans that the mortuary was sited to the southwestern corner, close to the sites of the gasworks, boiler house and water tower. Less likely, it may have been sited behind the original male wards in the buildings close to the chapel. Regarding burials from Broadgate, the pauper and unclaimed dead had been sent between 1870-92 to St. Martin’s Churchyard in Beverley, between 1892-1911 to All Hallows Churchyard in Walkington and then from 1911 onward to a dedicated area in the northwestern corner of the newly opened Beverley Municipal Cemetery in Queensgate. Hello, I’m a young filmmaker from Beverley and me and my friend are making a documentary about the ‘hospital’. Would anyone be interested in supplying us with info, or anything that would help. My dad was a staff nurse at broadgate hospital and l recall going with him to collect his wages and l clung to his hand as we went through various doors which he had to unlock to enter and lock behind us. He had big bundle of keys for so many wards. I was only about 12 at the time and saw padded cells found the whole thing scary. But my dad loved his job often he came home with cuts, bruises and bumps inflicted by violent patients but never complained. The ironical thing is after his retirement he became ill and ended his life as a patient in broadgate hospital. 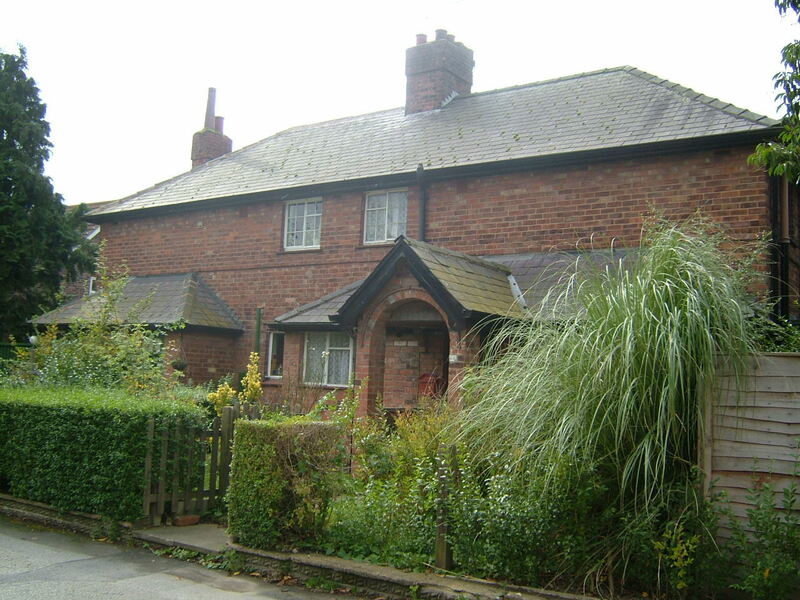 I lived in Walkington and my friends lived in the ridings halls of residence next to it. 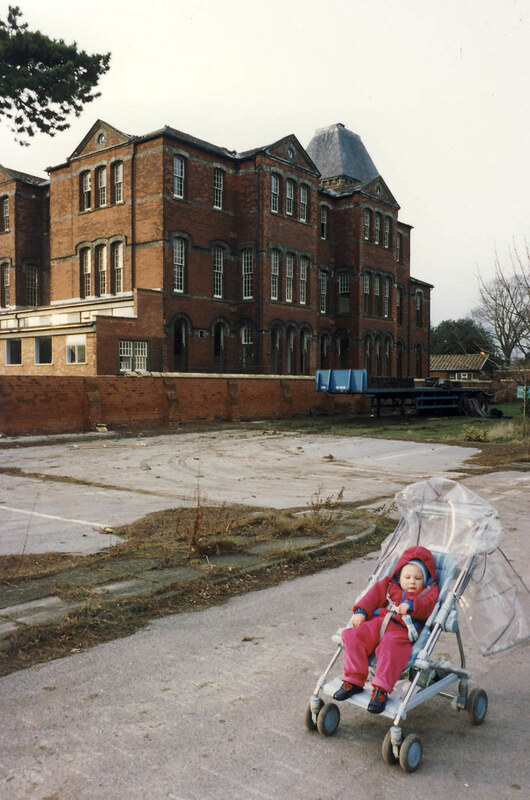 we look around the abandoned hospital in 1990. it closed in 89 but was left in a eerie state. my friend that lived in the day nurses residents often complained of paranormal activity and I remember door banging and footsteps when I stayed with my friend as she was scared to stay on her own. I also remember megs on way and thinking that the residents may have trouble as the hospital was clearly haunted. Is there any way I can gain access to patient’s records? My grandfather spent most of his life there until he died in 1972. Please see “Related info” section. I too am interested in accessing patient records. My mum was a patient on and off during the early 1970’s. Please see reply to Katrina. I wonder if anybody could help. 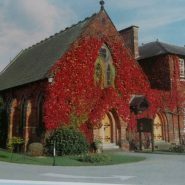 My Mother Maud Illsley (deceased) was an auxiliary nurse in world war 2 and was posted to what she referred to as ‘Beverley mental hospital’ and had many stories to tell about life there and around Beverley and Walkington during the war period. Is this the same hospital ? and if so are there any records or photographs remaining that can be accessed as I would like to know more about what my mum did in the war. Her mum nursed soldiers with shell shock in the great war although not at the same hospital and I am currently a mental health nurse. Purely coincidental. 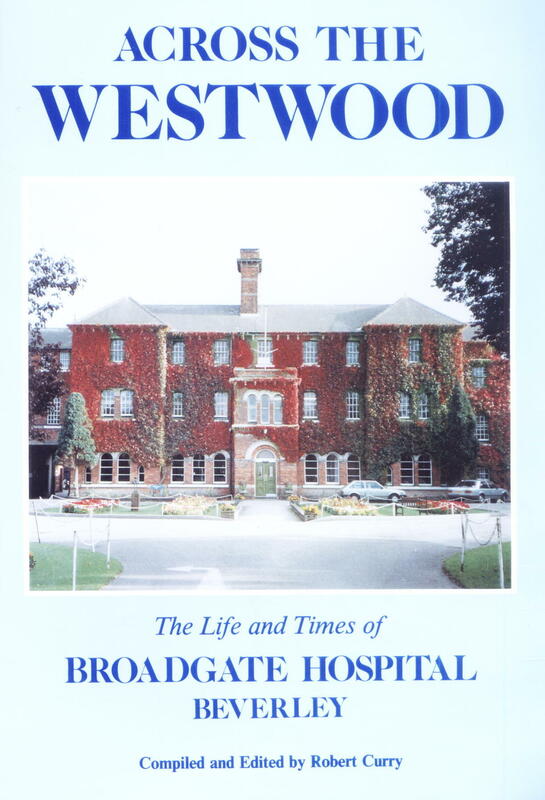 Hi Tim, have you had a look at the book that’s is written on Broadgate hospital? It’s called “Across The Westwood” and can usually be found at a reasonable price. The mortuary was situated behind the chapel near to the work sheds. The mortuary at Broadgate did not have a lantern roof.Hope this is of some help. My dad worked here in the seventies until closure as a nurse. 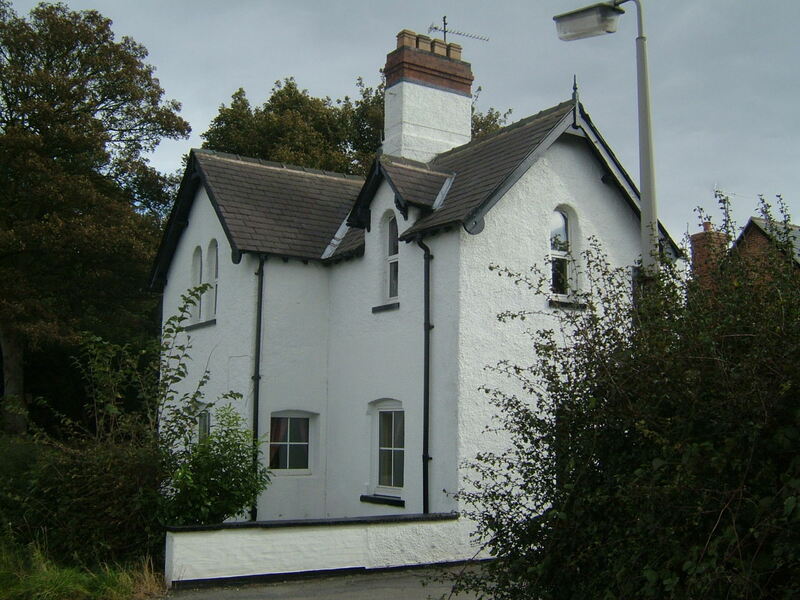 We first lived in the cottage at the front on the right, it was just known as lodge cottage. We then moved around the back, in one of the houses called farm road. What an amazing place to grow up, lovely and safe space in front, a huge green space and the farm behind. I used to walk to school in walkington, I remember it being a long way! My last memories were off a huge road being built across the lovely farm and then us moving out when it was finally knocked down. I was very sad to leave and enjoyed seeing the photos and information. 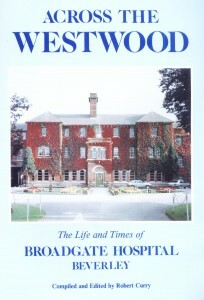 I was brought up on the hospital grounds from 1939 to 1957. My father was the deputy superintendent. As a small boy I rode all over the grounds on my tricycle and can tell you exactly where the mortuary was. 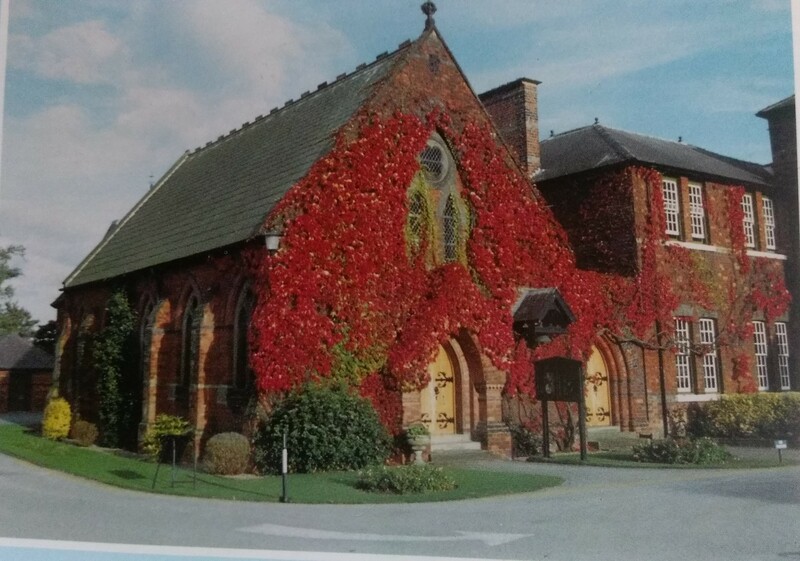 East of the chapel was a single story block comprising a bike shed (also housing the hospital hand propelled fire engine), carpenter’s shop, painters shop, the cabinet maker’s and upholsterer’s shop, two garages (for the superintendent’s and his deputy’s cars) and finally the mortuary. My father performed some post-mortems there and I remember looking through the door when it was being cleaned (after the bodies had been removed). 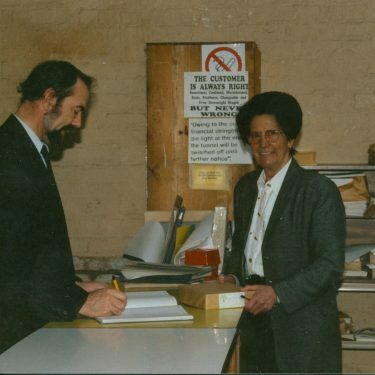 Hi, I have just visited this site and found some of the comments very interesting, firstly I worked here from 1971 until the last day and took the last mini van load of patients across to DLP. My grandfather and uncles and aunties also worked here in fact Megson way was named after a family member her maiden name being Hood. There was only one area within the hospital that had reported abnormal activity of an unnatural nature from reliable sources including myself. 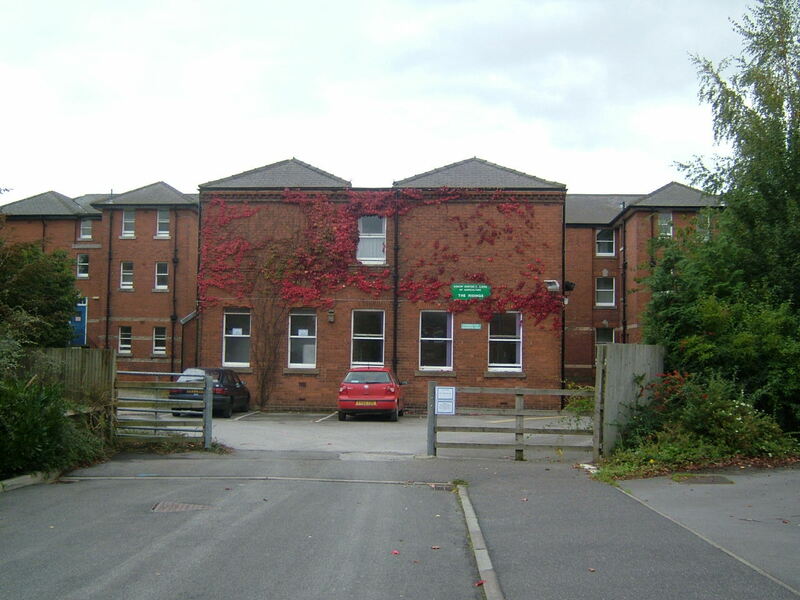 however Katie from Australia it did not occur in the vicinity of your previous home of 47 megson way which is not built on the building that was but more or less butted up to the east wing which was originally the male side of the hospital. The activity occurred in the west wing on the top floor (as pete is pretty close with is thoughts.) This was the female wing of the hospital and as I say it was on the top floor and the rear stair well, it consisted of foot steps , lights turning on and off and doors opening and shutting. So I would not have been surprised if some one in the west part of Ash dene had reported anything. Padded cells never existed in my time or that of my grandfather so Junes father must have been working there about the time of the first world war. And Will if you are still attempting to produce something I am willing to help out with any info. Hi. I was a student nurse at Hull University in the early 80’s and we had a 3 month placement at Broadgates in 1983. We were terrified initially but absolutely loved it there and got to know staff and patients, it had a strong family feel and I felt that the staff were caring. Some patients had been there for a lifetime. The hospital itself was spooky with its long long corridors …I never felt or saw anything untoward but I would never have have taken those back staircases on my own.